When used properly the Net Promoter System can a powerful engagement tool – for customers and employees alike. 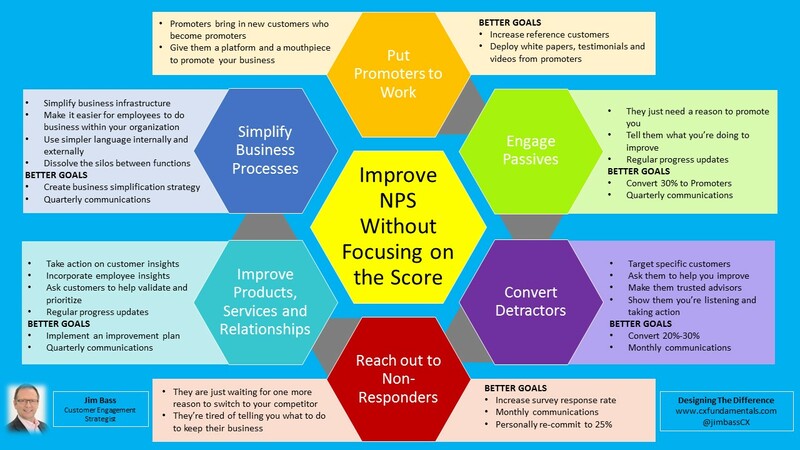 Sometimes we get so focused on the Net Promoter Score that we lose sight of the opportunities to improve our products, services, relationships, culture and financials. Mature Net Promoter Systems do more than predict loyalty, they cultivate it. Until your system is mature, don’t focus on the score. Instead focus on the customer-centric behaviors and actions that create engagement and loyalty. Do the right things and the numbers will reflect the great things you are doing.